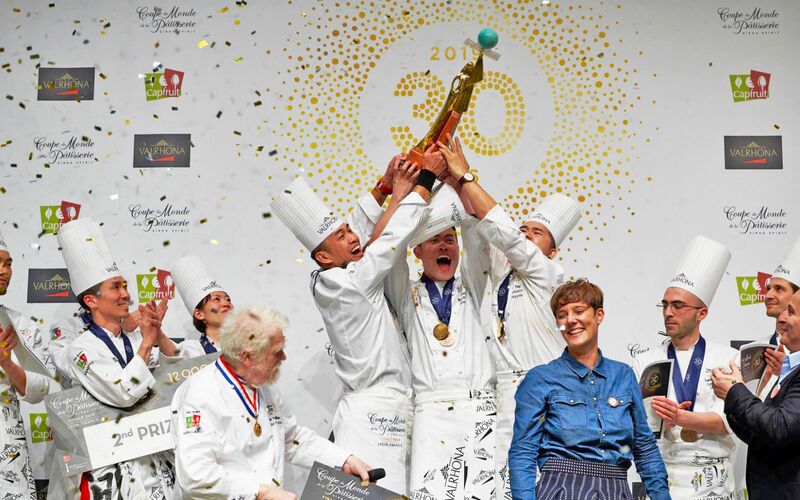 Tastemakers Sweet Victory For Team Malaysia At The 30th World Pastry Cup In France! Day of judgement. Photo: Coupe du Monde de la Pâtisserie. Artistry should always be celebrated and rewarded, hence the Academy Awards (filmmaking), the Grammy Awards (music), the Pulitzer Prize (penmanship) and the Coupe du Monde de la Pâtisserie (pastry), the last of which transpired at the Sirha Trade Show in Lyon on January 27-28, 2019. 63 contestants from 21 countries (3 pastry chefs per team/country) represented Algeria, Argentina, Australia, Belgium, Brazil, Chile, China, Egypt, Italy, Japan, Malaysia, Morocco, Mexico, Poland, Singapore, South Korea, Sweden, Taiwan, Tunisia, the United Kingdom, and the USA, but it was team Malaysia that took home the gold with 11,904 points. Japan and Italy were named runner-up and first runner-up with 11,862 and 11,083 points each. A biannual occurence, the next World Pastry Cup will occur in 2021.